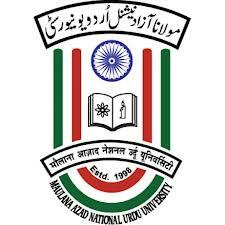 Host: Directorate of Distance Education Maulana Azad National Urdu University, Gachibowli, Hyderabad – 500 032. You are cordially invited to actively participate in the 18th Annual Conference on Open and Distance Learning and to submit abstracts and proposals that address the issues of the Conference. The 18th IDEA Annual Conference on Open and Distance Learning will comprise different types of sessions and presentations. ∑Linked to the different parallel sessions and presenting additional papers, projects and case studies and demonstrations in the respective field. In addition to the above events IDEA will allow for some Extension Events of different types. These Extension Events will be organized independently and the responsibility rests with the Individuals, Institutions, Associations, Corporate bodies etc. concerned. 1.Abstracts should clearly describe the intended presentation. 2.Abstracts should not contain more than 500 words (No tables, charts or graphs) + title and authors name & address including email should be clearly mentioned. 3.Submission of abstracts by email is most appreciable. 4.The abstracts and all accompanying information should be sent as a single attachment. 6.Full length papers should not exceed more than 3000 words. 7.Both hard and soft copies of the abstract and full length paper should be submitted. 9.Submission in PDF, image format etc. will not be accepted. 10.All submitted abstracts will be referred to the Conference Academic Committee and attributed to the different types of events and presentation at the IDEA conference. 11.Both hard and soft copies of the abstracts and full-length paper should be submitted. receive priority over other descriptive studies. afternoon tea and snacks, lunch and dinner for three days. Each accompanying person should pay an amount of Rs.600/- as guest delegates. Accommodation: Free Accommodation will be provided on First come first serve basis subject to the availability of Rooms at the University Guest Houses/ Hostels to those who communicates us for accommodation on or before 15th of March 2013. Other delegates shall make their own stay arrangement. One of the advantageous of being a metropolis is that Hyderabad is well connected to the rest of the state and country. If you are arriving by air, disembarkation would be at Rajiv Gandhi International Airport, Shamshabad, Hyderabad. For those choosing to travel by train, Hyderabad’s three main railway terminals: Nampally, Secunderabad and Kachiguda connect it to rest of the country. Long distance buses depart from Hyderabad: Imblibun Bus Station and Jubilee Bus Station. To reach Conference venue, one has to engage pre-paid taxi/auto which is within the vicinity of around 25km to 30km. Average fare for taxi and auto would be Rs.10-12/km and Rs.08-10/km respectively. For registration and other details: Click here.